It’s been a while since we checked in with Toymail, the kids messaging startup that piloted its first product on Kickstarter back in fall 2013. Its idea was to turn Wi-Fi-enabled toys into a screen-less connectivity medium that let parents send voice messages to their kids via a companion smartphone app. The basic idea is to house simple mobile phone-like features (i.e. one-to-one messaging) in a far cuter and kid-friendly package, targeting kids aged two to eight years old. The Wi-Fi toys offer the promise of play with the parental reassurance of connectivity but without the unwanted side-effect of training young kids to become fixated on screens from a very early age. The Internet-connected functionality in Toymail’s toys is limited to audio features. Any visuals — beyond the look of the toy itself — have to be imagined by the child. A couple of years on from its Kickstarter and Toymail is in Y Combinator’s winter 2016 batch. Co-founder Gauri Nanda says it’s now fully focused on building out a messaging platform capable of addressing the mass market, with its earlier crowdfunding campaign having been a way to beta test their ideas in public (they raised just over $80,000 via Kickstarter, and have sold more than 20,000 toys to date). “It’s a huge untapped market. 95 per cent of kids under 10 don’t have their own phone. And the reason for that is of course… that screen time is such a struggle and phones aren’t really designed with children in mind. And so what we’re really building here is the messaging platform that makes sense for children,” she adds. After its Kickstarter, Toymail has attracted investment from Amazon, via its Alexa Fund, and also Verizon (the parent of TechCrunch’s parent, AOL) — taking in $1.5 million in seed funding from these investments plus some angel investors, in addition to $120,000 from YC. Prior to this the startup was bootstrapping, helped along by $10 million in sales the co-founders generated from an earlier hardware product they built (Clocky). One of the more significant tweaks Toymail made to its original business model was to quickly drop the initial stipulation of a price for sending messages. Messages are now free to send and receive, and there’s no subscription model linked to the toys as such — rather the idea is to make money from the hardware and via what will amount to a Toymail app store they’re planning to launch in future where parents will be able to pay for additional content for kids. The store will let third party companies with relevant children’s audio content sell add-ons via the store, with Toymail taking a 30 per cent cut of any sales at that point. The aim is to launch the app store by June, according to Nanda. “Essentially what we’re building is an app store that enables parents to purchase these songs and stories. Or perhaps educational data. Or things around meal time. Anything they want they can send as audio to the… toys,” she says. “One of the partnerships we have right now — Amazon is an investor in our company — so soon the children will be able to ask their toy to read them a story or play them a song from the Alexa network,” she adds. Last week the startup opened up pre-sales for its next line of plush toys, called Talkies (cue up your jokes about ‘hardware that feels more like software’… ), which will bring some new tech elements into the mix — including an accelerometer-powered feature that lets parents receive a push notification when their child has picked up the toy so they can then send them a voice message at the same time if they choose; and a funny voice filter feature that lets kids shake the toy to change the sound of their voice when they record a message. 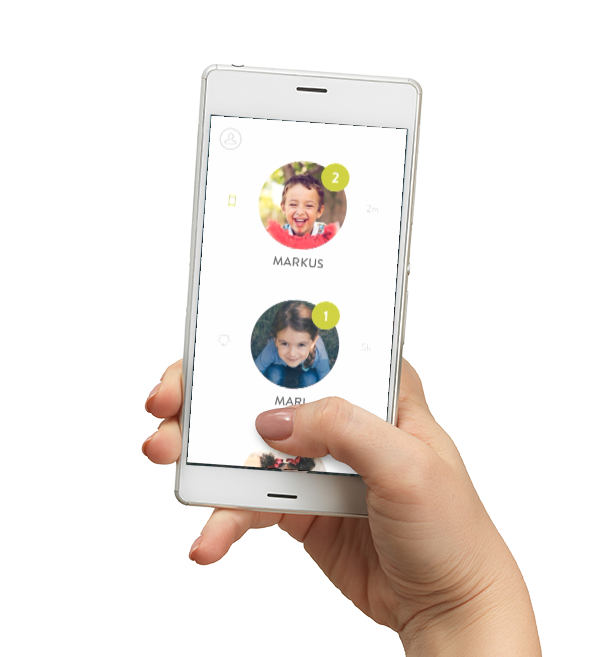 The Talkies will also be able to be connected to each other, so kids can send messages directly to their friends’ toys as well as to their parents’ phones. There’s still no screens on the toys to monopolize young children’s attention, but the toys do have a four button interface. Toymail claims this is simple enough to be used by kids as young as two. And hopefully less mesmerizing than the chameleonic smartphone screen. The pre-sale price per Talkie is $59, with the aim being to ship the toys by the end of April. The retail price after the pre-order period will be $79.